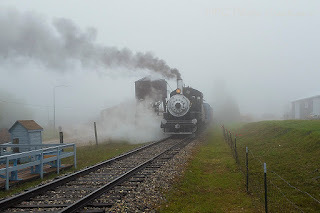 My image today once again is of the locomotive I get to help fire on during Labor Day weekends at the Western Minnesota Steam Thresher's Reunion in Rollag. The May issue of Trains Magazine that is out right now features this locomotive on the cover for an article on steam at threshing shows. I think that's pretty cool. 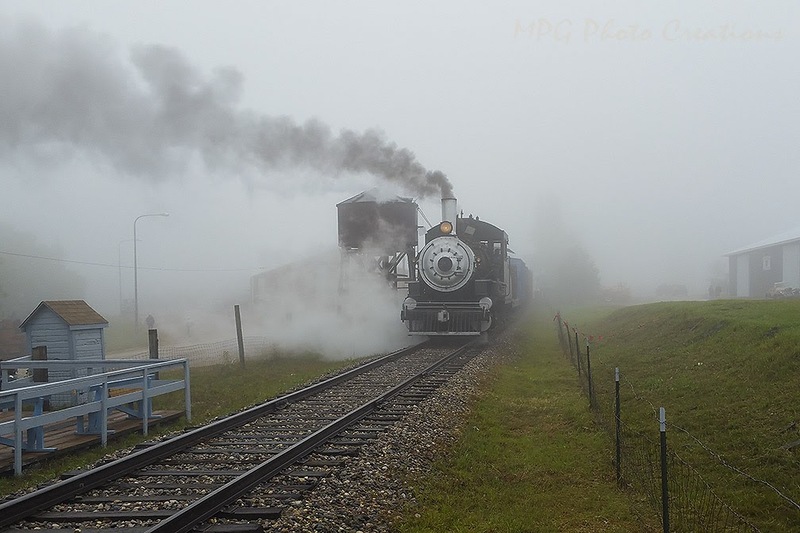 The 353 is an ex-Soo Line switch locomotive and I captured it with it's train picking up some passengers one foggy morning last September.